There is nothing like watching a movie in the optimal environment. You get to see the story the way it was intended to be seen, on a large screen with top-quality audio. In today’s times, just about every homeowner can afford some type of home theater system. Clearly, they are many different possibilities. You can go the basic route and upgrade your family room, or you can remodel your basement or spare bedroom and turn the space into a full-blown home theater with all the bells and whistles. There are two-piece projector/screen combinations that can be perfect for a dedicated theater room, and there are various different price points. Large screen TV’s are also an option. Crystal clear, wireless surround sound audio is part of the home theater experience. We offer various types of audio systems, designed to work with your home theater or as a standalone sound system for any location you want. The home theater experts at Dynamark Security Centers are here to help if you are interested in a home theater system. We can gain an understanding of your vision for your home theater, answer your questions, and explain your options to you. There are basic, quality sound and viewing systems, to hi-tech, app controlled systems. You can create a scene automating related events. For instance, if you want to enjoy a home movie, you can turn on the TV & audio, dim the lights, lower the shades and set your thermostat, all with a preset on your phone. The apps can be shared through multiple users in the family. Clear communication and quality customer service are very important to us, so we can assure you that you will feel comfortable working with us every step of the way. Dynamark Security Centers offers complete vacuum packages custom designed for you. We’ve provided central vacuum sales & services since the 1990’s, bringing years of experience and knowledge to every central vacuum repair or installation we do in Texas. Our Certified technicians will work with you to plan the best system for your location, explain why a central vacuum is better than a portable, and you be presented with large selection of manufacturers to choose from. Today’s intercom systems can be more than just a button to talk to another room. You can converse with someone at the entrance door, view video of who is outside, and with devices like the Ring.com doorbell, you can answer your door from anywhere in the world, so no one knows you’re not home. With our smart home technology, we can set up a remote to unlock your door if your child is locked out or an unexpected guest arrives. Dynamark will advise you on what the right equipment is for what you have in mind. We will assist you in choosing the right package by selecting the one that best suits your needs. You will be presented with a personalized plan based on your environment and provide a one-stop solution. There is no reason to accept limitations when it comes to your home entertainment experience. A relatively small investment in a home theater will yield immeasurable benefits. Every day will be movie day, and the family will naturally spend more time together. 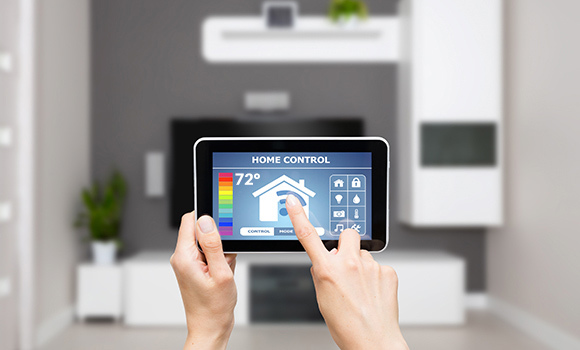 If you are ready to get started, contact us or call our home automation specialists at (361) 852-5276.